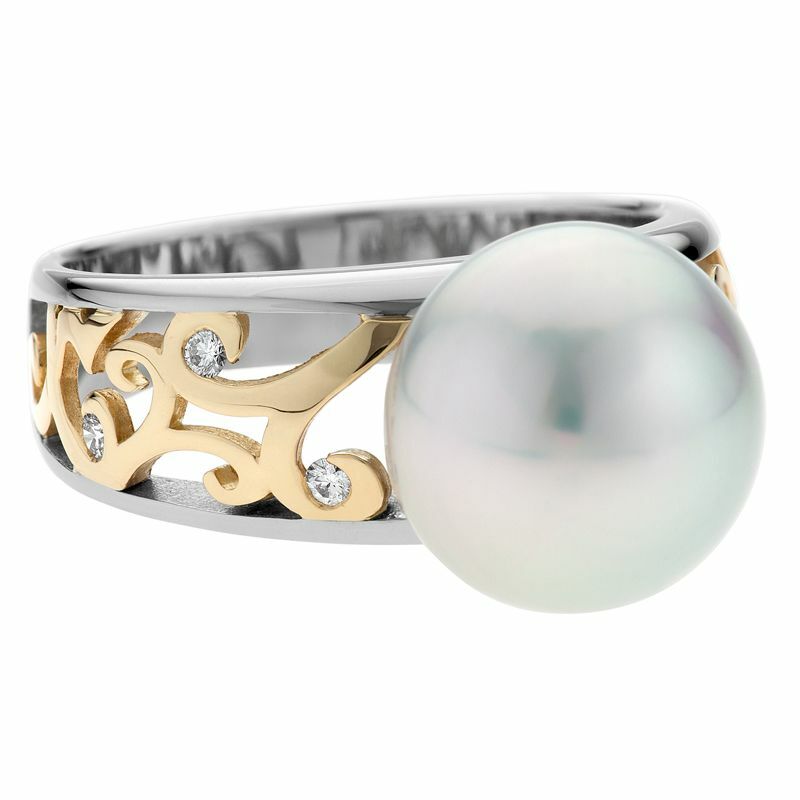 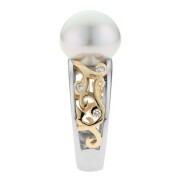 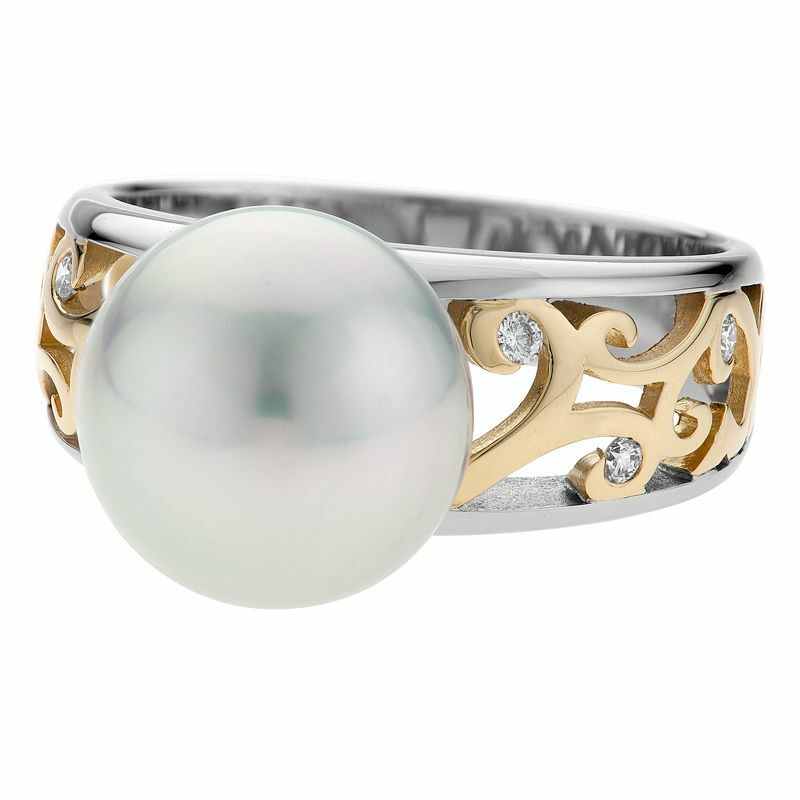 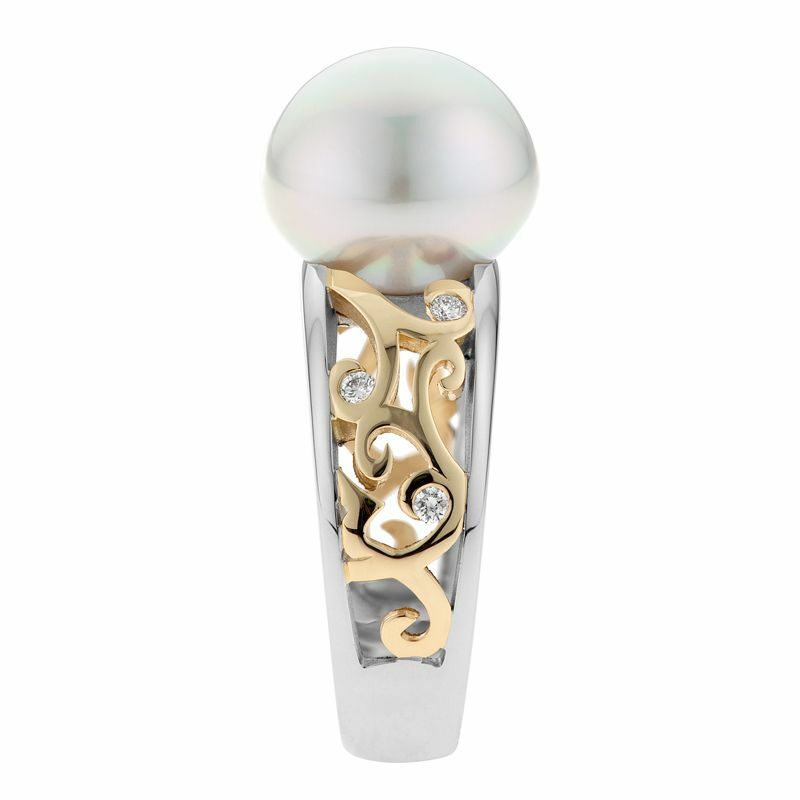 A beautiful modern take on an ancient craft the filigree detail in this band curves and spirals is way around the finger suspending brilliant white diamonds and a stunning South Sea pearl. 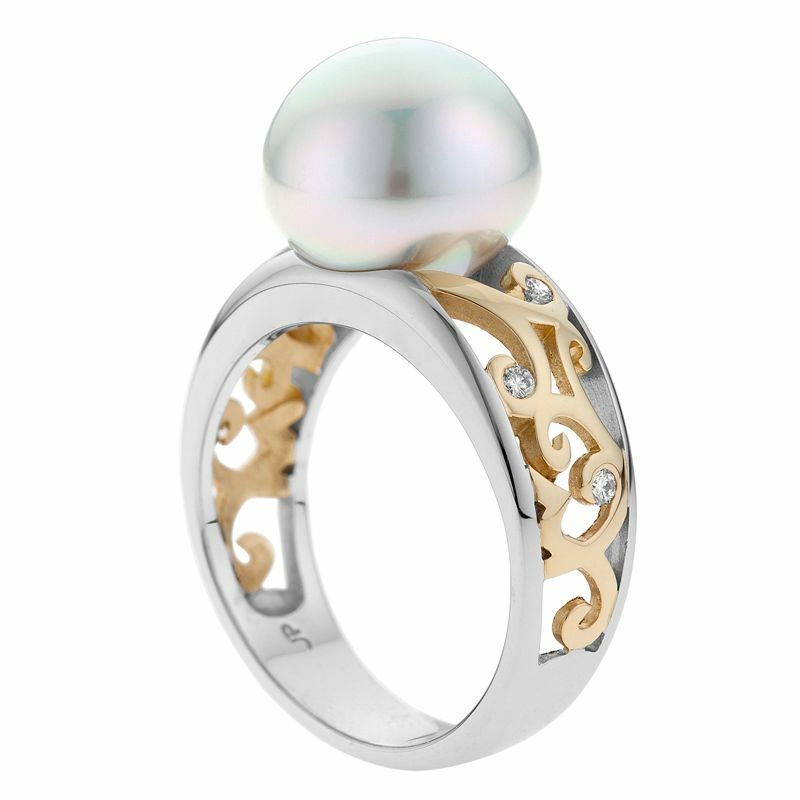 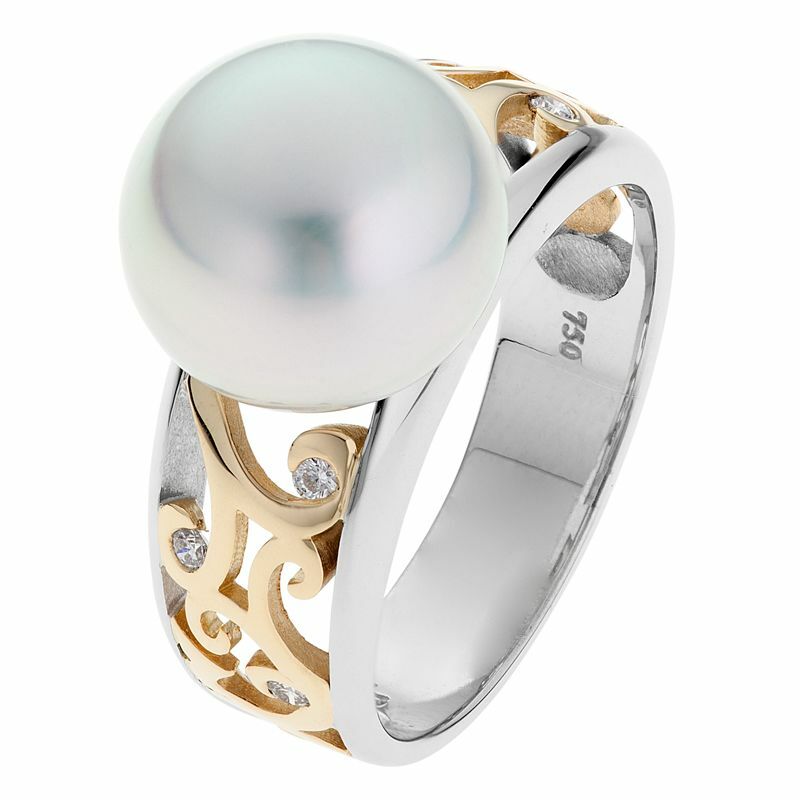 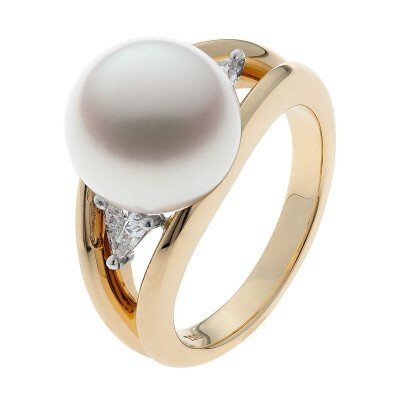 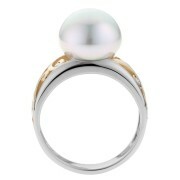 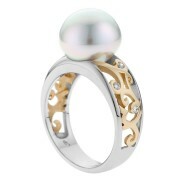 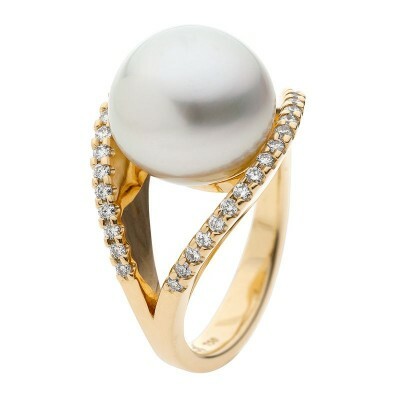 The perfect present to treat yourself with, or to spoil a loved one who is looking for the perfect pearl ring with a unique twist. Buy now, pay later interest-free.